Includes: 2012 Audio CD Interview, Interview Transcript, and PowerPoint Slides. Save 40% by ordering all 6 strategies! Includes: 2012 Audio CD Interview, Interview Transcript, and PowerPoint Slides for each of the following strategies. Want to Sell More Domestic Asset Protection Trusts? One of the nation’s most successful estate planning and asset protection attorneys will not only show you how he does it, but he’ll give you his exact tested and proven words, phrases and explanations to use - - and you won’t even have to memorize them! Explain the technique simply, in a way that the prospect understands it and will want to do it! Recognize and address the key design traps, up front, so you can properly complete the case (and get paid) or refer it to a specialist! 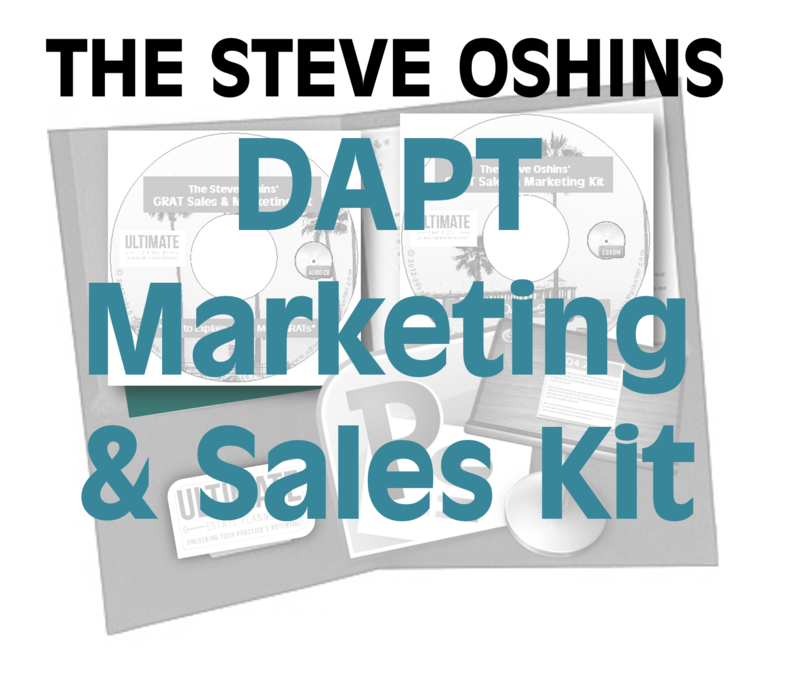 You CAN learn all of this quickly and easily, thanks to renowned estate planning and asset protection attorney, Steven J. Oshins, and his special DAPT Marketing & Sales Kit. Click the “Details” tab for more information about what’s all included in this package. What’s Included in the DAPT Marketing & Sales Kit? The “How to Market & Explain Domestic Asset Protection Trusts” CD. 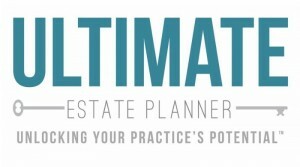 An entertaining 19-minute one-on-one sales interview from 2012 between Ultimate Estate Planner President, Philip J. Kavesh, Esq. and Steve Oshins on how to market, sell and explain DAPTs. Sales Transcript. The complete transcript of the sales interview so you don’t need to take the time and effort to listen to them and take notes of what he said. With a transcript, you can easily follow along with the audio recording and quickly read, highlight and mark it up with notes as you see fit. PowerPoint Slides. You will receive a set of PowerPoint slides (11 slides) to use as a visual aid to help present DAPTs to clients and prospects without having to memorize everything Steve says on the recording. These slides can be used in one-on-one meetings or added to other seminars you may already have (or may have purchased from us). You can easily modify and brand these slides to your firm and use this visual aid to help you to quickly and simply summarize the key benefits and selling points of moving forward with DAPTs! NOTE: A special 40% bundle discount if all 6 kits are purchased. Click “Purchase Options” (above) and select “KIT BUNDLE PACKAGE”. The 40% discount will automatically be applied.